An hour east of Tucson there is a unique set of caves in Kartchner Caverns State Park. 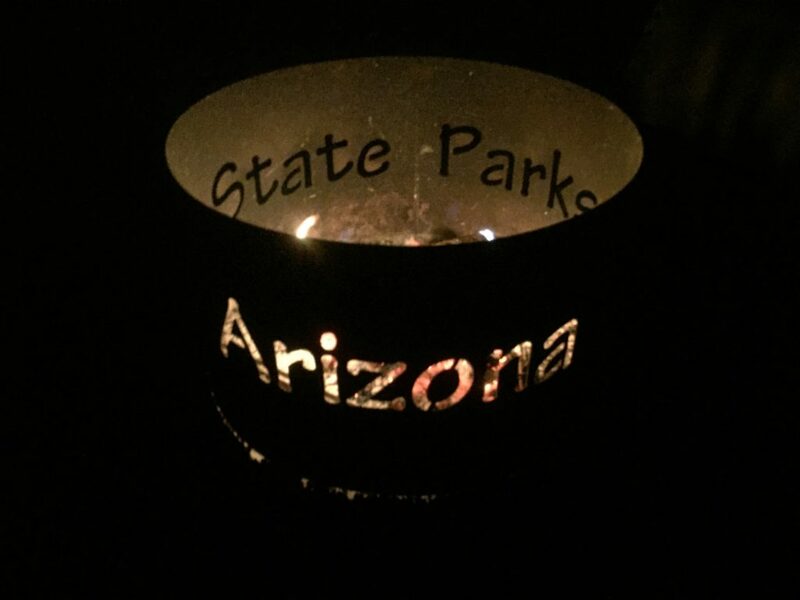 This Arizona state park was created in 1988 to preserve these caverns in as pristine state as possible. 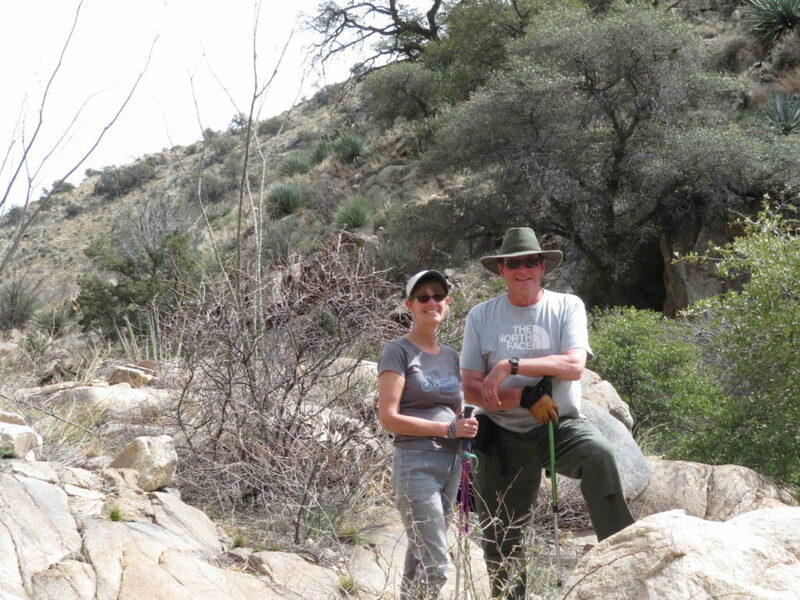 Local cavers, Gary Tenen and Randy Tufts, discovered the caverns in 1974. They kept the location secret and explored them for over three years before notifying the landowners, James and Lois Kartchner. Tenen, Tufts, and the Kartchners knew that once the location of the cave became public, it would attract people who would damage and deface this natural wonder. The story of how the caves became a crown jewel in the Arizona parks systems involves blindfolded state employees sworn to secrecy, a project code named Xanadu, and a governor who happened to be a geologist. Read the story on how the discovery became a park at this website. 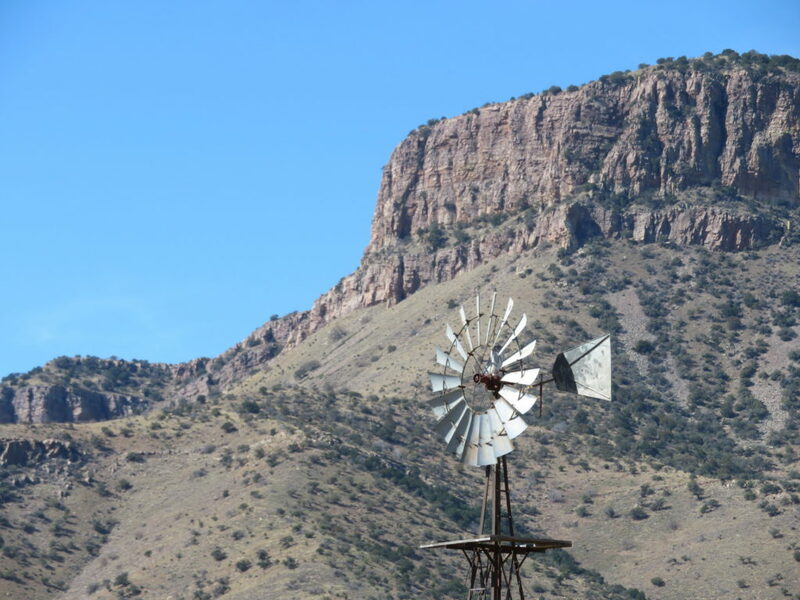 But Kartchner Caverns State Park is more than just the caverns. The grounds have extensive options for RVs and camping, along with four cabins. There are also great hiking trails nearby. We spent four nights at the park with our friends Fred and Tricia who towed in their comfortable trailer. Originally we planned to pitch our tent on their site, but when we saw the early-March weather was forecast to be close to freezing, we managed to get reservations in the on-site cabins for three of the four nights. And thanks to Linda, one of the resident park volunteers, we got a cabin for the fourth night when someone cancelled. Fortunate for us—as that night was very windy. Thirty minutes away, the small town of St David is home to a Benedictine Monastery. 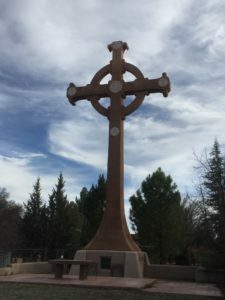 Although the monks were reassigned in 2017 there are still church and prayer services—and an RV park managed by a nun. Close to the park and next to Interstate 10 is the town of Benson; useful primarily for groceries, gas, and The Old Benson Ice Cream Stop—a ‘50s era store that would make Dairy Queen envious. 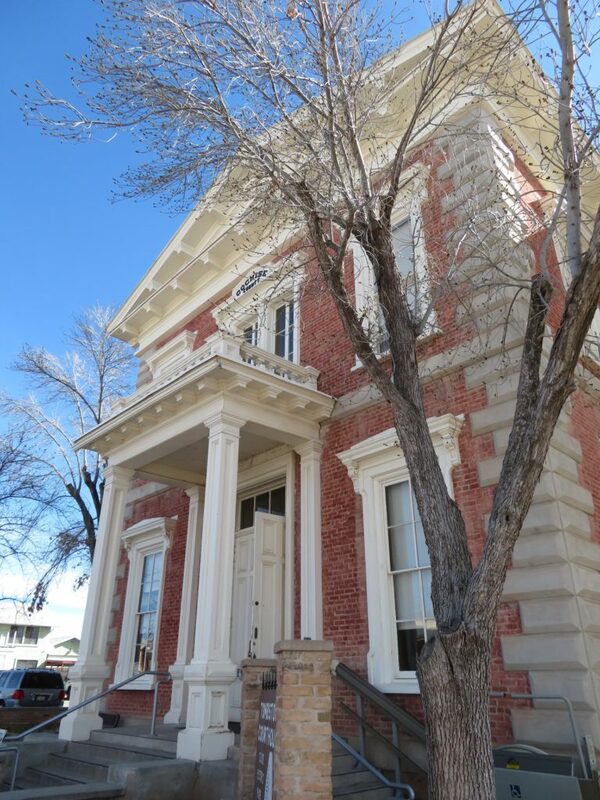 Kartchner is also close enough for day trips to the historical towns of Tombstone and Bisbee. In fact, we combined the two into one day. 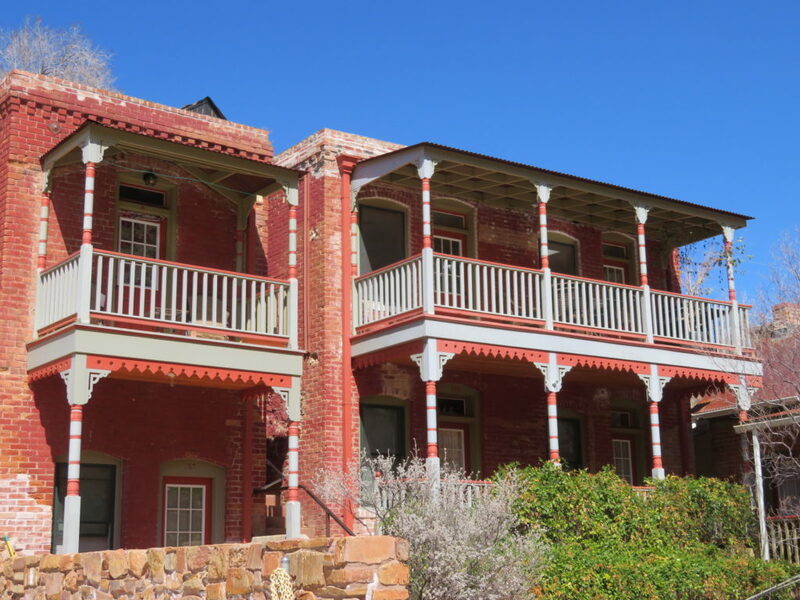 In Bisbee you can tour a mine or just enjoy this charming historical town. 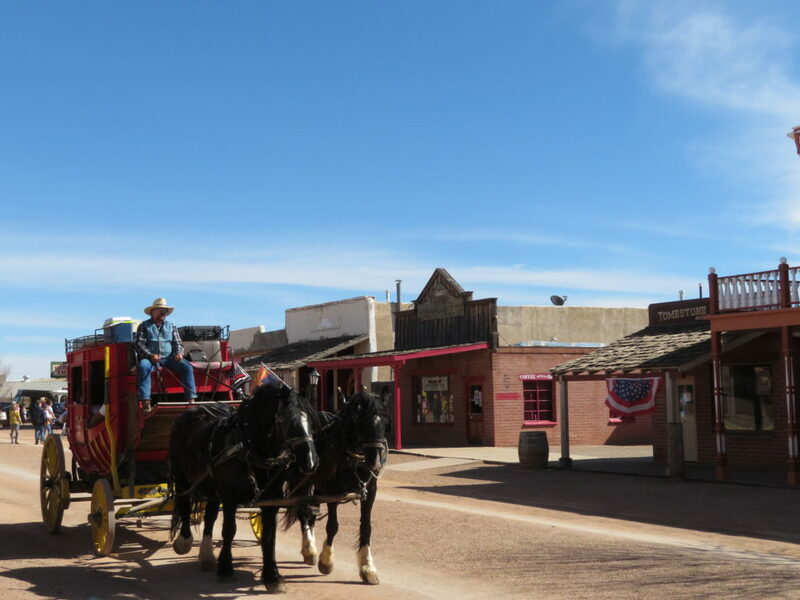 Tombstone is home to the shootout at the OK Corral—reenacted several times each day, and plenty of other touristy options. But the main reason to visit the park—is the caverns themselves. There are bigger caverns and certainly more famous ones, but Kartchner is as close to its natural state as they could make it. 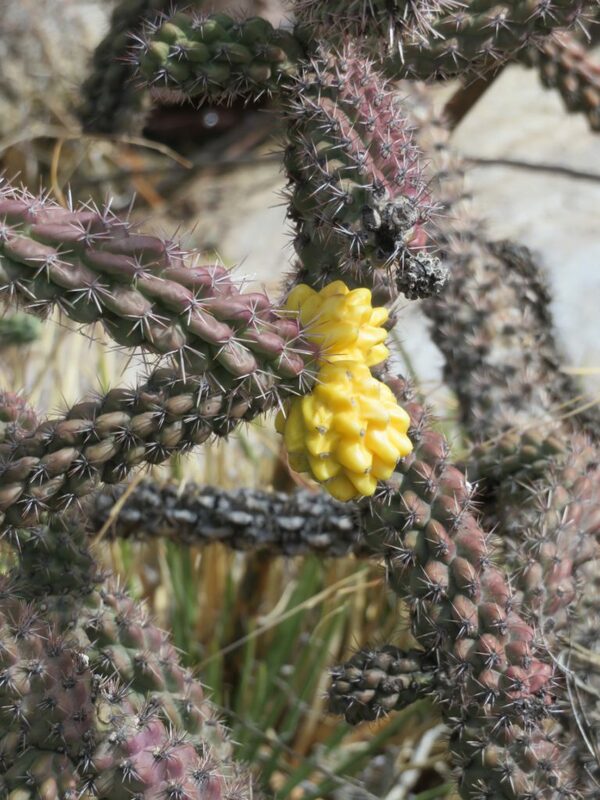 It is still a living cavern as natural moisture keeps formations inside growing. The owners, discoverers, and state worked together to keep the location secret until they had prepared it for visitors. Tours are guided only and done by reservation. Because guests see the caves via a stone ramp, it is actually ADA accessible. There are two main options for cave tours: The Rotunda/Throne Room or Big Room tours. Each are only a half mile walk lasting 1.5 to 1.75 hours. That includes a background briefing and passage through airlocks designed to maintain the cavern humidity. On Saturday evenings they also have a helmet and headlamp tour. For this one, make a reservation far in advance. The Big Room tour is closed from mid-April through mid-October as this cave serves as a bat nursery. Don’t want to disturb the furry little ones. I’d love to provide pictures of the inside of the cave, but photography is not allowed on the normal tours. 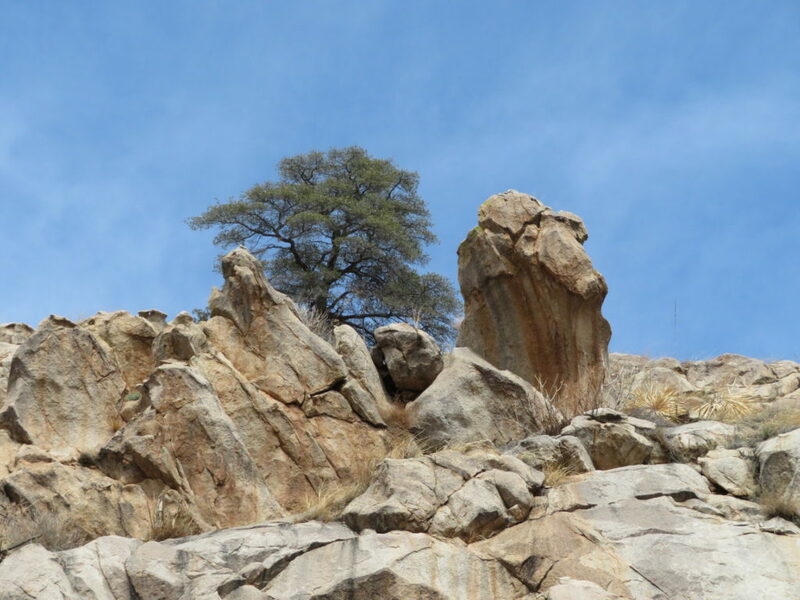 Fortunately, the park website has some excellent photos and descriptions here of what you would see. 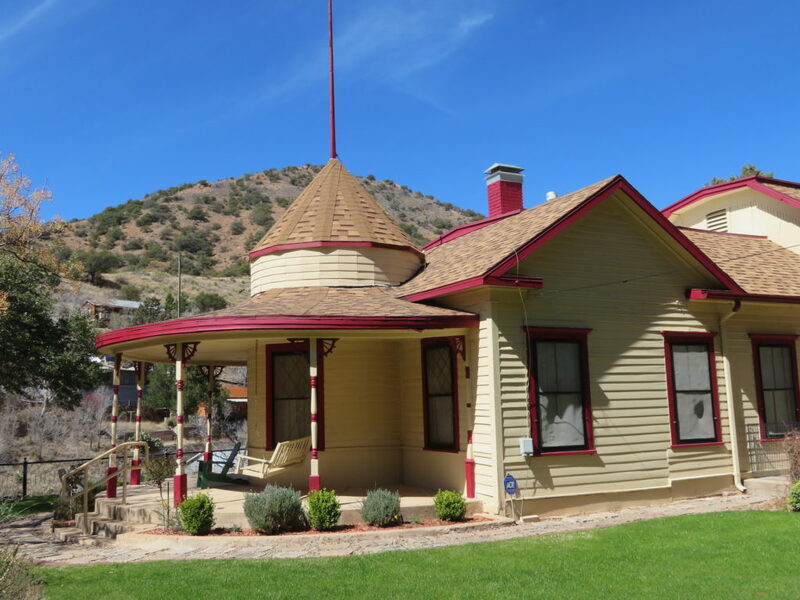 If you go to Kartchner Caverns the park website has information on campground and cabin reservations, tours, and hiking, and other events. If you stay over be sure to say “hi” to Linda for us. Trip Update: The Kartchner leg of our trip was the first week of March. We’re currently in Lubbock, Texas. Yes, really. Lubbock.